The Uttar Pradesh Board of education is the oldest and the largest framework determining the aptitude of the large number of state population. The Board, well known as the UP Board, came into existence in 1921 by an act of the United Provinces Legislative Council and hereby accounts for being the oldest. The Uttar Pradesh Board of education is the oldest and the largest framework determining the aptitude of the large number of state population. The Board, well known as the UP Board, came into existence in 1921 by an act of the United Provinces Legislative Council and hereby accounts for being the oldest. The first examinations by the State Board were conducted in 1923. 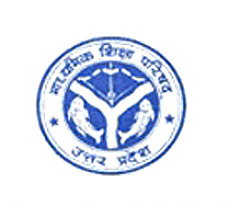 The headquarters of the Uttar Pradesh Board, formally the Uttar Pradesh Madhyamik Shiksha Parishad, are situated in Allahabad, Uttar Pradesh, India. The Board has four other regional offices at Meerut, Varanasi, Bareilly and Allahabad. The official language is Hindi but the medium of education is either Hindi or English. The board governs around 9,121 schools accommodating nearly 3.2 million students. All the government schools of the state are under the board along with a few private schools as well. The board gives equivalence to other boards as well. The Uttar Pradesh state board conducts different exams for Arts, Science and Commerce. There are three main exams that the State Board holds: the Middle School exam for Class VII, the High School Exam for Class X ad the Intermediate exam for class XII, which is the last of the school exams. The Board prescribes syllabus for the class I to class XII. To gain admission in higher study institutes, the marks of these exams are necessary. UP Board is one in India which from the initial stage only, had adopted 10+2 system of education. The first public examination after 10 years of education is High School Examination and after the 10+2 stage, there is Intermediate Examination. The class 12th Exams or the Intermediate Examinations held in the month of March and April in the Uttar Pradesh state are one of the most important exams that take place. The group of students appearing for the exam is also amongst the largest for these exams. The appeared lot of students and their families curiously await the announcement of the class 12th results which play a major role in determining the future of the student. After the long and eager days of patience, the wait now seems to be over as the results of the Intermediate Examinations of UP Board of 2014 are all set to be declared today. The official site of the UP Board has all the significant details and notifications. The result can be checked there and also on the www.jagaranjosh.com, one of the leading Indian Education website. All the best to all the students.